Individuals who exercise often do so to achieve a sustainable and healthy lifestyle. However, many people are unaware that they have unhealthy habits that hinder their training efforts. Recognizing these bad habits and altering them can allow individuals to increase their fitness level and reach their goals. If you are doing a low impact workout, you might be able to skip the warm-up without experiencing negative consequences. However, if you are preforming a moderate to intense training session, missing your warm-up can easily lead to injury. Although there is some debate about when stretching is needed, it is imperative athletes stretch before high intensity workouts such as sprinting or running. Athletes are often told to push through pain, but this can lead to various injuries. If you experience pain while working out, listen to your body. Sharp pain may tell you that you’re doing an exercise incorrectly. It also might inform you of a larger health issue that needs to be addressed. 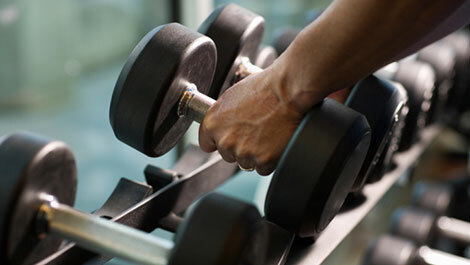 Various individuals avoid weight training for many reasons. However, avoiding strength is a significant mistake. Preforming weight-bearing exercise can help you reverse bone damage and maximize your training efforts. Strength training is especially important for running. Runners with a strong body can handle the wear and tear of running and will also understand how to utilize their core to improve their speed. When individuals don’t push themselves, their body’s fitness level can plateau. As soon as you find your training plan easy to complete, increase your running or exercise intensity. Furthermore, individuals can also try another exercise to keep challenging their body. When you start a new exercise plan, make sure you have a certain amount of consistency. Sticking to a particular training schedule for four to six weeks will help you develop a solid base for future workouts. However, once your body adapts to the exercise, it is important to alter your fitness routine to match your new cardiovascular capabilities. Nearly two-thirds of the human body is water and it’s crucial to maintain hydration during exercise. Water is an essential nutrient that is involved in every function of the body and you can’t function properly during exercise without it. If your body is sleep deprived, it can’t fully recover after a tough workout. Sleep deprivation can also affect your body’s appetite and hinder your ability to lose weight. Mackenzie Martin writes for Mettis Trainer. She is a writer at Fusion 360, an advertising agency in Utah. Find her on Google+.